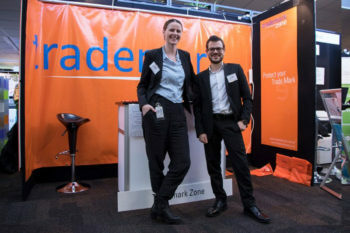 Trademark Zone was pleased to be represented at the recent Business Expo in Wellington. 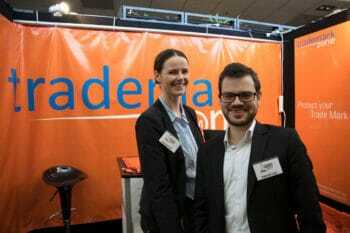 The team had a great day engaging with the public and other stallholders and helping others learn about trade marks. You need to be aware and proactive to make sure your brand stays safe. A registered trade mark does not prevent competition and threats all by itself. While the NZIPO might block other similar marks, sometimes additional action is required by the owner. In particular, you need to be informed and updated of identical or similar trade mark applications so that you can take action to protect your own. Zone IP can provide surveillance of the New Zealand Trade Marks Register in order for you to receive warning when similar marks are accepted, so you can decide whether action is necessary. Contact us today for more information. After working at Zone as an intern earlier this year, we are pleased to welcome Dino Bohinc to the team full time. Dino has completed both his law degree and his professional examinations, and is enjoying learning more about IP law here at Zone. Zone IP is planning big things for its online platform Trademark Zone so watch this space over the next couple of months. Zone IP and Zone Law will be closed for business on Labour Day, Monday 23 October 2017. Our websites and online platform will still be available. We will be open for normal business hours from Tuesday 24 October 2017. The Intellectual Property Office will also be closed on Monday 23 October 2017.